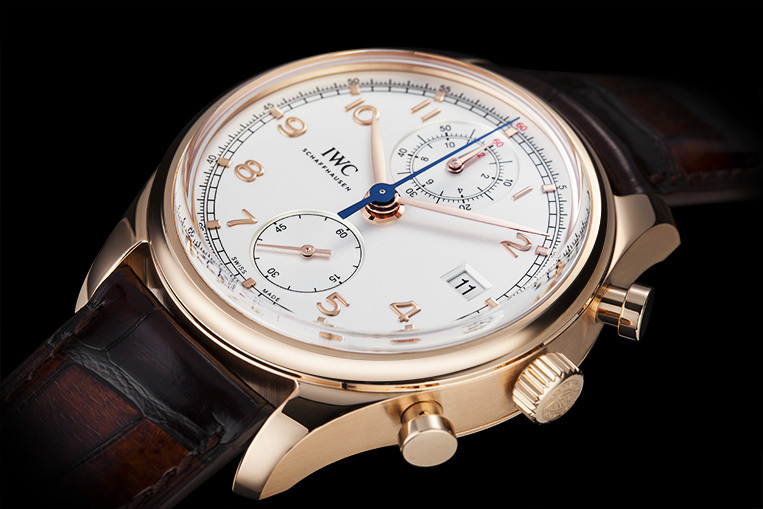 Review: IWC Portuguese Chrono Classic | Watchfinder & Co. Many examples of the intersection between engineering and beauty exist in this world. Concorde is one, the Shard another and IWC's original Portuguese is a third. What these three things have in common is the ability to make a practical solution into something desirable: concorde had its pencil-thin white fuselage draped in aggressively swept wings; the Shard has a domineering presence on the London skyline that slices through the low cloud; and the Portuguese has a stark and simplistic elegance bereft of any cumbersome design appendages. The Portuguese was made to be a watch—a big watch—and the purity of its inception gives it an honest, appealing quality. 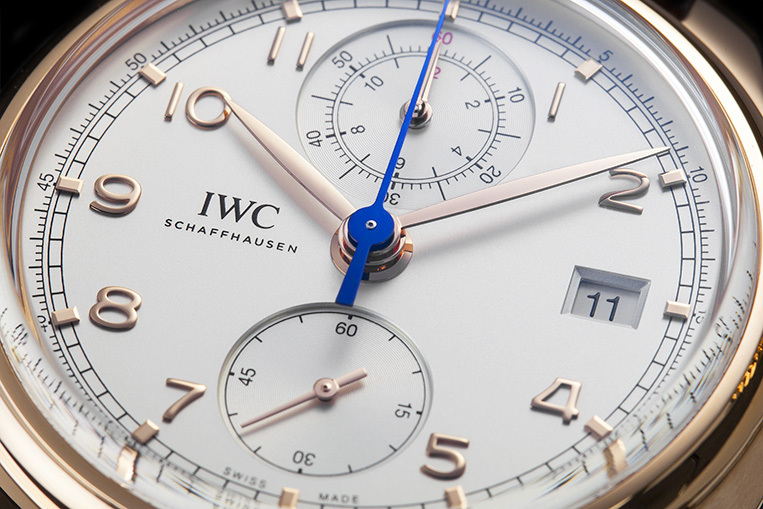 As the generations go by since those two sea-faring businessmen asked for a large, precise watch be made for them by IWC, the design heritage is scratched away a sliver at a time. The Portuguese of today isn’t a watch created for an engineering purpose, it’s a watch that honours the one that was, and the mists of time have begun to cloud its original reason for being. Like a game of broken telephone, where players whisper from one to the next, something is almost guaranteed to get lost along the way. Does the latest Portuguese, the Chrono Classic, manage to hang on to its heritage, or will it invoke a frown of contempt from J-Lo for forgetting where it came from? 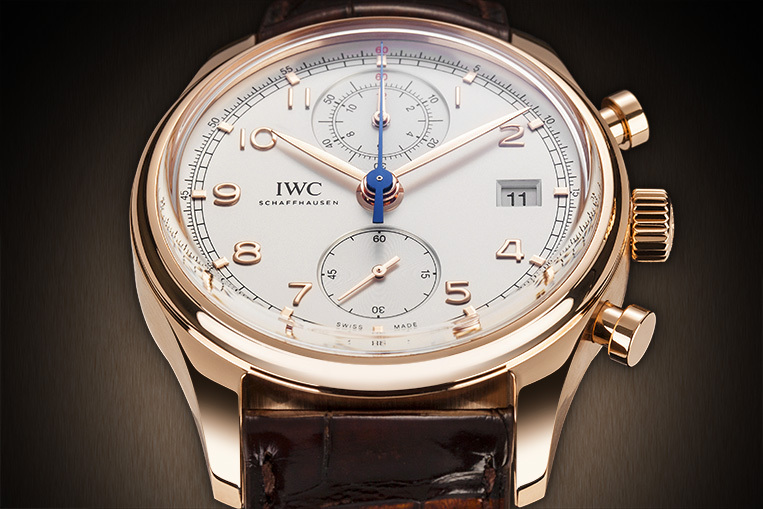 First thing's first: this is a chronograph watch, and the original Portuguese was not. Given the understated style and near-perfect proportions of the standard Portuguese Chronograph (with the ETA 7750-based movement), this isn't really an issue in terms of design purity, and if anything exemplifies the original purpose of the watch: to be a tool. Yet somehow the Classic seems to stumble in the passing of the baton, gaining fussiness in its detailing despite the consolidation of two of its sub-dials. That's not to say it's not a good-looking piece, not by a long shot—it’s just lost some of the clarity and openness of the original dial. With the amalgamation of the chronograph minutes and hours comes a new movement, the calibre 89361. 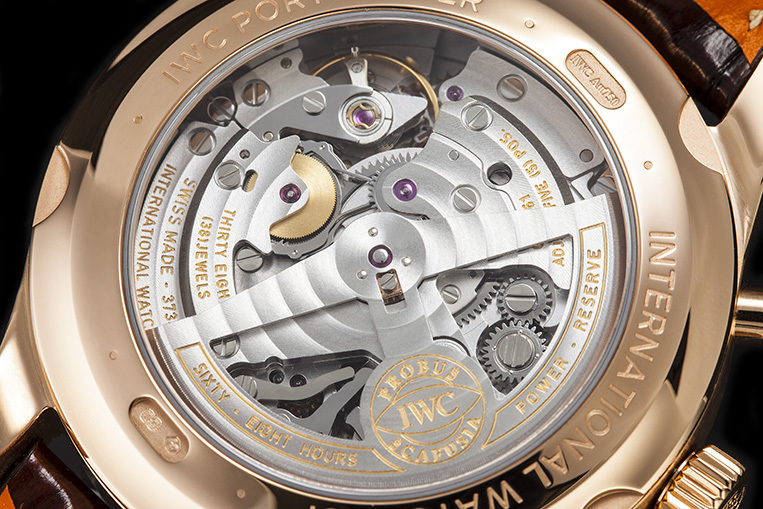 It's an impressively specced thing, boasting a 68-hour power reserve, flyback seconds, IWC's proprietary Pellaton winding system and in-house construction. But the spec list comes at a cost—thickness. The topmost curve of the crystal rides 14.5mm off the wrist, which makes the 42mm diameter feel a tad on the cumbersome side, particularly in gold. The traditional Portuguese has always been large, but never thick, and as good as the movement looks through the sapphire caseback, there has to be something there that can be sacrificed in order to claw back a few precious millimetres. Despite this, the Classic manages to be a watch that's many things: it's a great looker, it's powered by a fantastic movement and it wears the badge of one of the world's greatest watchmakers. But there's one thing it's not: a proper Portuguese.